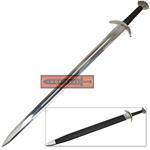 This is the Oakshott Type XXII Viking sword with a Type M pommel. 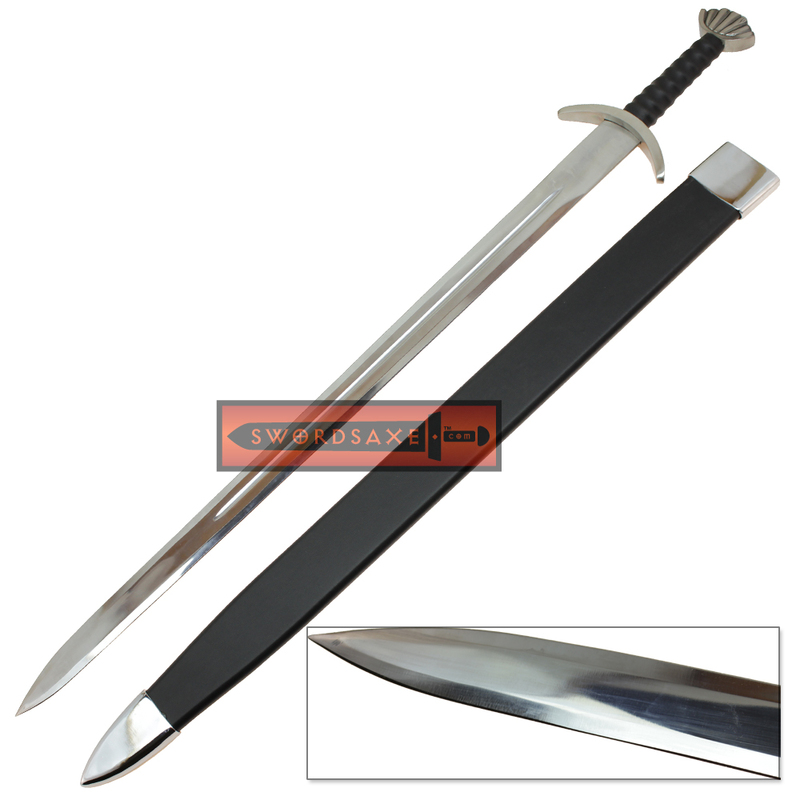 Swords like these were used during the 5th to 10th century AD in the Norse lands inhabited by the infamous vikings. 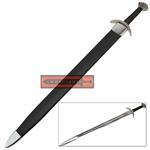 This sword has a 32.5 Inches 1045 High Carbon Steel blade with a thick fuller. The sword also features a steel full tang which is for great durability. 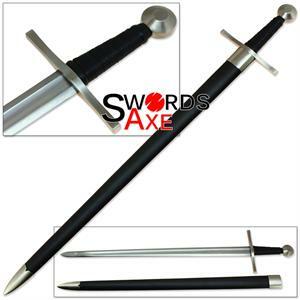 The guard and the pommel are made of aluminium alloy for durability and light weight construction. 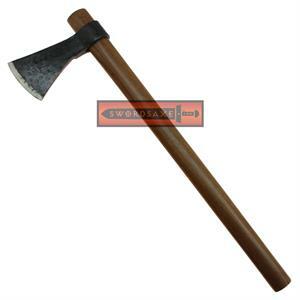 The handle is wooden with a leather stitched grip. 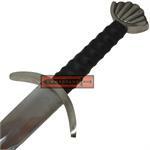 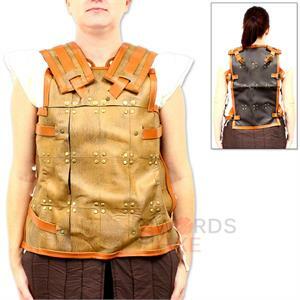 Equal attention to detail is given to the leather stitched scabbard. 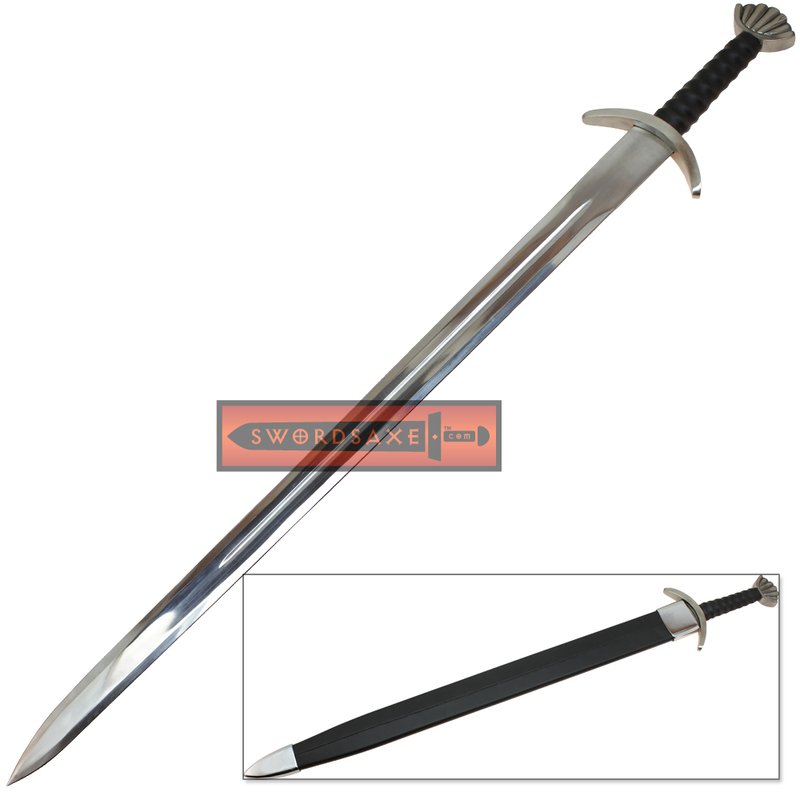 For a viking the scabbard is almost as important as the sword hence the scabbard has aluminium accents and wooden core. Each sword is meticulously hand made and might include its own unique marks and imperfections. 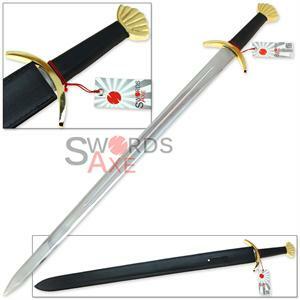 Each sword is handmade and may have slight variation in finish, color, size, shape, or other attributes when comparing any two pieces.